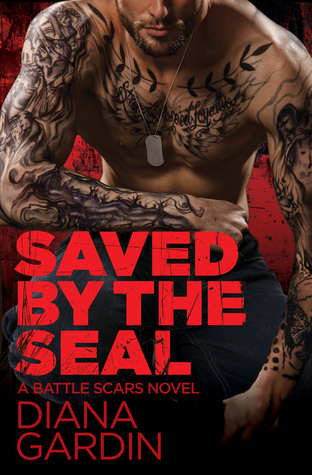 Saved By The SEAL by Diana Gardin is the second in the Battle Scars series. I am new to this series, I did not read the first book in the series but that did not detract from the book at all. Sure it would have been nice to have been more familiar with some of the previous stories that were discussed but really this one stands on its own. 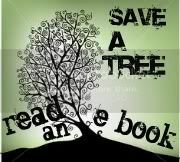 I admit it probably took me half way thru the book to really get into it. The dialogue between the characters was kind of cheesy and I wondered a few times if men really talked like because thankfully I haven’t heard it. The cheesy dialogue seemed to get more realistic as the book went on, so that was good. And then I started to get more into the characters themselves and the story. Greta is a cutie who loves her family but is a bit damaged by her father always choosing his job over his family. Grisham is a SEAL who also came from the crappy father home but has made his own way in the military as a SEAL. Grisham is a natural protector and cares for the people he loves, and now Greta is one of those people despite his initial resistance. Grisham lost part of his leg as active duty and is now facing a decision on what to do next and Greta is there by his side as he goes through several life changes. I ended up enjoying the book; it was a pretty quick easy read. Somewhat predictable but that happens. I think I’ll probably the next book in the series because I want to see what happens with Mea and I think his name was Drake. Im pretty sure that will be the next couple. **ARC copy was provided through NetGalley for an honest review, no other compensation was provided.